Should coast a win, no excuses. Depends which team turns up. I just hope its an entertaining night for us all ! Fife leading 7-6??? Last time I looked Devils were 5-1 in the lead. 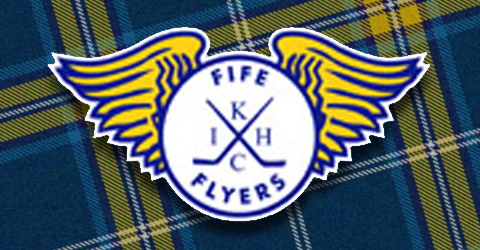 Fife stuck in and worked their socks off and took their opportunities. A good run has perhaps papered over the cracks but this team after the flyers 5th goal looked lost confounded by major mistakes by players. Some players not where they were last year, and some players definitely not an upgrade on players who have left. The call on Paris when the score was 5-1 was a massive game changer. In my opinion it was the wrong call. What happened after that though was unacceptable. We showed zero guts or fight on the penalty kill and basically bent over everytime we were shorthanded. Oh well, another mare. I hope the fits of laughter have affected Nottingham’s coaching staff enough to effect their game plan. Lack of discipline, lack of composure and complete lack of game management! 6 powerplay goals conceded and we looked clueless on the penalty kill. Hogarth is an appalling referee but no excuses, that was the most inept, gutless 40 minutes I’ve seen from a Devils team for a long time. Despite going 5-1 down, Fife never gave up, constantly outhit us and seemed to want it more than us, which is shameful on our part. Even the happy clappers are going to struggle to defend that performance. Totally unacceptable. That was like watching a soccer match. Fife were very good at falling over and dropping sticks every time the Devils went near them and Hogarth fell for it all. Although you could question why our PK was so bad the ref played a major part in that loss. In my opinion the best team loss. We had most of the possession for a large part of the game but a 5 minute penalty and a number of 5 on 3s and short succession penalties killed it. Even on the last attack Hogarth blew the whistle and brought it back to the middle. I have no idea why. Very frustrating to watch and must be even more frustrating for the players. Hats off to them for not getting any misconduct calls because it must have been really tempting to tell Hogarth how shite he was. I'm afraid any booing heard in the final minutes of the game perhaps reflects the sort of game it was. Completely baffling how a team cruising at 5-1 in p1 and completely in control can concede so many goals and end up losing. Last season's Devils would simply have shut up shop, tightened defence and seen out the rest of the game with a fine display of puck recycling and grinding down the opposition. And therein lies the difference. Last year's team had the ability to win in any situation, the quick thinking to change up the plan, the mental strength to hang in there in adversity, the experience and skill to execute their preparation and training. After Paris's exit from the game, the Devils just imploded. Rather than keep it defensively tight and simple, they let things get in their heads. The woeful pk and Flyers' awesome pp just destroyed Devils' confidence. That final 10 minutes was painful, abject desperation play trying to get the game tying goal. A team challenging for the top should be at least be strong at home and aim to pick up as many points on the road as they can. That is not even happening at the moment. This year's team are heading towards a very average season if they continue like this. Another four league points down the drain already this week. A mid-table position is just about where they deserve to be right now. They are not playing well enough to be in the top 4. We can blame Hogarth all we want - Flyers had calls against them too and dealt with them well. And if Devils had won the game, we wouldn't even be mentioning Hogarth as a factor ......Devils only have themselves to blame for losing that commanding lead. No-one else. They face Panthers tomorrow - it feels like they won't have chance in hell. It's about time we accepted that our team are nowhere near as good as we think they are (very sad considering all the skill and depth, investment in extra players etc). Expectations certainly need to be lowered to avoid more disappointment. Here’s a tip, if you’re short a player don’t make pointless infringements. What an embarrassment that was! 5-1 up, at home and coasting! Should have pulled Bownsy after conceding 3 in short succession. Where was the on-Ice leadership? We looked clueless and Fife well deserved the win. Without Hotham & Martin this team is mid/lower table at best. New depths were plumbed tonight. That was appalling! The amount of cheap unnecessary penalties we took tonight was nothing short of criminal. Hooking, holding, slashing and all whilst on the pk. Lazy penalties behind the play because we were chasing pucks when we should have been closing down space. Too many players not turning up again and not just the usual suspects! Problem is that after an abject defeat like tonight there will be no consequences just the usual platitudes about hoping for a reaction in the next game. Clearly this team is not as good as the management think it is. Not gonna bother saying that it’s totally unacceptable again because I’m starting not to care!! How weird a game was that, one of the strangest ever. First 10-12 mins we were so unbelievably good it was untrue, to then concede 8 goals was unbelievable. 5-1 up and in total control, we lose Paris and we then implode. We then go on to score one goal, and concede 7 what in heavens happened there. Our physicality is nye on zilch, fife are a good team, but 5-1 up at home, come on it should be game over, and it was for us. That's really was,nt good enough guys, I really don't want to be too negative, but that was so unacceptable it ain't true. Panthers tomorrow wonder how that one will pan out. It is hard to believe that the Devils gave up 6 power play goals in 7 chances. The penalty kill played a huge role in the Devils success last season. Whether the penalties were deserved or not they've hurt the team late last game and in the game tonight! Pp and pk were shambolic tonight but not as telling as the lack of character shown! !